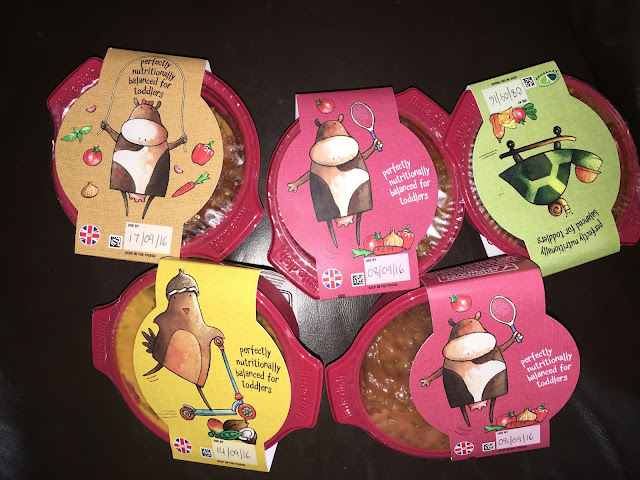 I am sure you are like me and want to provide meals to your children that are healthy and tasty so when we were asked if we would like to review some ready meals from Little Dish, known as Pots and Pies, for children aged 1-3, I jumped at the opportunity. Sometimes you just want quick meals for you kids without feeling guilty that they are unhealthy. 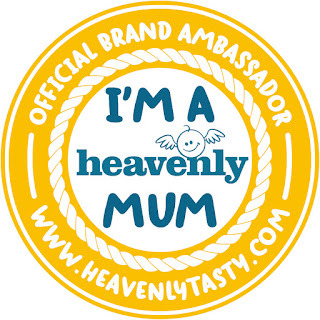 I chose a selection of dishes to try which I hoped M (aged 2) would try and enjoy. I was not sure how they would go down. Although M has a healthy appetite she sometimes has to be persuaded to try something "new" but I needn't of worried as she devoured each and every single meal. The first time she demanded I kept it in the little pot as she just wanted to eat out of that. She loved the little cartoon character on the packaging (and as did I. They were cute without being cheap and tacky. I think they added value to the brand). They also made a cook talking point about the meal and where the ingredients come from. I also liked having the little touch if the hand written best before dates. Also they were ready in just a couple of minutes which is great when you are having a busy day! The size of the meals were just right. Sometimes M left a little (but I had added vegetables as I needed to use the up) but she certainly was never hungry even if she did ask for more - a huge sign that they tasted good. Normally vegetarian dishes are a hit or miss. She likes meat with her vegetables but the veg ravioli went down a treat, even with extra "trees". The pasta bolognaise was a big hit. I knew it would be as she always loves a good pasta meal, especially bolognaise and she kept giving it the thumbs up whilst she ate. High praise indeed. As I had to review these meals I had to try them myself and I will say they tasted delicious. Often microwavable meals can a bit bland, or the opposite and being too salty. These were just right. They are made with 100% natural ingredients, contain 2 of your five a day, low in salt and have no added sugar, preservatives or additives. Pots and Pies range will be stocked in Tesco, Asda, Waitrose, Ocado, Morrisons, Sainsburys, Co-Op and Booths and their RRP is £2.30. Such a handy thing to have when you are in a hurry but want to provide a healthy meal for your toddler.